-France (7)- Les Bleus has had a reputation of being an all-or-nothing team. France is never short on talent. The 2014 World Cup saw a lot of young French talent on the rise like Paul Pogba and Antoine Griezman. This World Cup’s team promises a big mix of the old and the new. The team is still coached by legend Didier Deschamps and are poised to perform very well, especially after the strength of making it to the finals of Euro 2016. France’s play since Euro 2016 has been consistent with wins against England and the Netherlands, but they have also lost to Sweden 2-1 and Columbia 3-2. 2018 is an opportunity for France to win their second World Cup. It’s a matter of them all being there and delivering. -Australia (40)- When Australia made it to the Round of 16 at the 2066 World Cup, people were expecting more to come from the Socceroos. However they haven’t done as well as originally hoped. In fact they’re coming back from three straight losses in 2014. Not everything is down for Australia. They did win the 2015 AFC Asian Cup. Their play is still struggling to show. The only win against a team outside of Asia was against Honduras in a World Cup playoff. Australia is coached by Bert van Marwijk who coached the Netherlands to the World Cup final. The team consists mostly of players from the Premier League and Australia’s A-League. 38 year-old Tim Cahill leads the team in what will be his fourth World Cup. The team has a good mix of young and old. Australia can provide another surprise again. -Peru (11)- Ten of this year’s teams at this year’s World Cup had to wait longer than four years to return to the World Cup stage. Peru has had the longest wait of all: 36 years to be exact. Things have changed ever since they’ve been coached by Argentine Ricardo Gareca who was part of Argentina’s World Cup-winning team. The team consists of players whom play mostly for teams in North and South America. The players are a good mix of youth and experience with defenseman Alberto Rodriguez leading. Peru may have the most experience playing against South American teams, but they’ve had three wins this year against European teams like Croatia, Iceland and Scotland. Peru could be the surprise of the Cup. 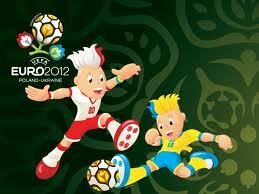 -Denmark (12)- The last time the Danish Dynamite made it to the World Cup was back in 2010. There they didn’t advance past the group stage. Since then, they’re recently acquired Norwegian coach Åge Hareide. The team was able to qualify for the 2016 Olympics and finished in the quarterfinals. They’ve done very well having not lost a game since 2016. They’ve had some notable wins against teams like Ireland and Poland and even drew against Germany last year. Denmark’s current lineup consists of players mostly from the Premier League and Spain’s La Liga. Denmark looks poised to be one of the teams from Group C to advance. 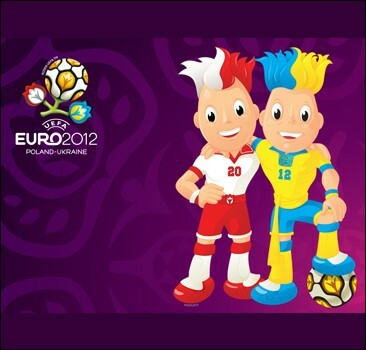 Russia will be their big test. Now my prediction for the two that will advance. It’s a toughie but I believe it will be France and Peru that will advance. Two more stadiums. Both in focus are at least five years old. Both were also built to host major events before this World Cup. Kazan Arena was first build to host the 2013 World University Games. Kazan Arena has also hosted the 2015 World Aquatics Championships. The stadium has the largest outside screen in Europe and the largest LED installed on a football stadium in the World. After the World Cup, Kazan Arena will be the home venue of team FC Rubin Kazan, replacing the 25,000-seat Central Stadium. If you remember the 2014 Sochi Winter Olympics, you will remember this stadium very well. This is where the opening and closing ceremonies took place. You may also remember the hefty price tag of the Sochi Olympics. This stadium cost $779 million to build! Names after Mount Fisht, the stadium was originally built to be an enclosed stadium, but has stayed an open-air stadium since 2016 in order to conform with FIFA rules. The stadium complex now serves as a training centre and match venue for the Russia national football team. And there you have it. The four teams of Group C and two more stadiums. Less than two weeks to go! In Your Arms is a Danish film that’s about more than granting someone their wish to die. Let’s face it, films about euthanasia are rarely watchable. However Danish film In Your Arms (I Dine Hænder) succeeds in making a film that’s watchable and even entertaining and touching. Niels is a man with a debilitating illness. First it left his legs useless, then its making his arms more useless day by day, and Niels wants to die. Maria is a nurse at Niels’ hospital who longs for freedom, especially after the end of a troubling romance. Maria finds it very hard to be a nurse to Niels, one of her many patients. She finds him very stubborn and selfish, especially after he recently tried to slit his wrists. Niels has a wish to die. He wants to be taken to a euthanasia clinic in Switzerland. His mother and brother don’t want it, feeling it’s just Niels being selfish again. Maria is reluctant at first but agrees to comply. She has decided to be the one to accompany Niels on his trip from Copenhagen to Switzerland which also consists of a stop in Hamburg, Germany. 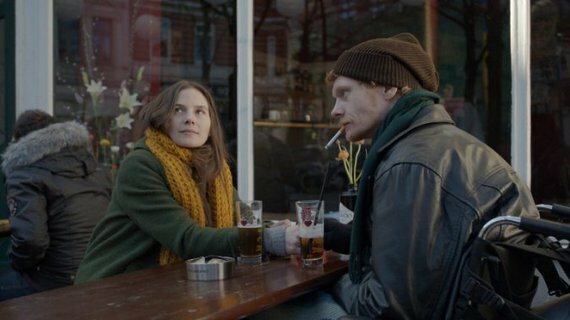 After his family bids Niels good-bye, Niels and Maria board the train and it’s there that the two get to know more about each other, such as their likes and their personal lives. In Hamburg, Niels wants to be taken to places where he spent his younger years, especially the restaurants and bars. During the time, he’s able to meet again with people from the past. Maria meets two key people. One is Niels ex-girlfriend from his ‘Hamburg Days.’ She learns he has a four year-old son. The other is the pub manager. He invites Maria to visit during the night. Maria agrees and it’s over at the pub that night it appears that Maria is able to live again. Unfortunately it comes at a price to Niels as she’s not there to help him first thing in the morning. Niels does not want his son to see him dying so she is able to make Niels watch his ex-girlfriend pick up his son so he can see him for the first and only time in his life. During the trip, it appears as though the relation of Maria and Niels is growing. Often making one question it’s a friendship or even more. As Maria drives down the wide roads of Germany to the Swiss border, the two decide to take in the nature that they view. Maria even swims in the lake despite how snowy cold the day is. Then they finally reach Switzerland and visit the clinic where Niels wants to end his life. After receiving details of what the following day will entail, Maria spends one last night with Niels. The ending is somewhat predictable and melodramatic but done right. I don’t think this film is trying to peddle the message of euthanasia, although it’s obvious the film maker has no qualms about it. As for me, I’ll save my view. However it appears the film is not about euthanasia. This looks like many film before it of a dying person spending their last days. Even still I believe it is to do about the relation between the two. At first, both Maria and Niels were polar opposites. He was an ailing patient in the care facility. She was a nurse who just happened to take care of him along with the others. The chances of the two being friends were slim to none but it was that trip that changed it. The film does question whether Niels did love Maria all along or if Maria did love Niels in any which way. The bond of friendship was obvious but was it more than that? I think the film maker wants to keep us guessing. Even despite whatever friendship occurred, Maria knew she still had to honor Niels’ wish even though it would hurt her dearly. It’s not just about the two together but the two as individuals. Niels has had it with life. The disease has taken away all that he has to live for. Maria longs to live but her job and failures at relationships prevent her. It’s when the two join together on the trip that things become better for them. Niels is able to die content and Maria is able to discover her freedom within herself. I will admit that this is a rather short film. Nevertheless this is a good melodrama that presents itself well. Samanou Acheche Sahlstrom has written and directed a good drama that centres on the characters both as individuals and as a pair. It’s the bond that occurs during the time of the trip that helps make the story. The acting from both Lisa Carlehed and Peter Palugborg made the story work as well as develop the necessary chemistry for the film. In Your Arms has won two awards at the Gothenburg Film Festival and was nominated for a producers award at the Hamburg Film Festival. Here at the VIFF, it made its North American debut. In Your Arms may be short and may lack the qualities to make it a film of renown. What it achieves is honest sensitivity and a connection to the story and its main characters. In A Better World is the winner for this year’s Oscar for Best Foreign Language Film. It is only the third of the five nominees I’ve seen: the others being Canada’s Incendies and Spain’s Biutiful. I finally had the chance to see In A Better World a while back. This film has a story line that really gets one thinking. The film begins as a Danish boy named Christian reads a eulogy at his mother’s funeral. He appears calm and composed but his mother’s death troubles him. He and his father move from London to Denmark where he spends his spare time on the roof of his grandfather’s silo looking out. We then meet Anton, a Swedish doctor who lives in Denmark but spends most of his time working in a refugee camp in Sudan. The villagers, especially the children, regard him as a hero but home life is difficult as he is on the verge of a divorce and he doesn’t see his sons as often as he’d like. Their paths cross as Anton drops his son Elias off to school. A group of bullies taunt Elias because of his awkward looks. As Christian interferes, he too is assaulted. As Elias is bullied again the next day, Christian assaults the bully with his bike pump and threatens him with a knife at his throat never to hurt him again. Anton hopes to teach the two boys about the wrongs of violence as he himself witnesses it in the refugee camp each day. He gets a chance as his son is fighting with another boy in a playground and the father of the other son hits Anton. From atop the silo, Christian is able to spot where the man who hit Anton works by his car. Anton takes the boys again to see him confront the man where he gets hit again. Anton wants the boys to see how violence fails but they don’t get his intended message. Later Anton is called back to work in the refugee camp. He soon has to deal with tending to the wounded warlord despite villagers pleading for him not to help. It’s later after a female patient dies that the warlord coming asking for her body that Anton leads him out where he is met by villagers ready to lynch him. After coming across fireworks in the silo, Christian gets an idea to create a bomb to blow up Anton’s attacker’s van. Meanwhile Christian’s relationship with his father takes a turn for the worse as Christian lets out his frustrations about his mother’s death, including his father’s failed promise that his mother would get better. Elias tries to talk to his father via Skype about Christian’s plan but Anton is exhausted after a stressful day. Elias then agrees to Christian’s plan. They go out one Sunday when no one is to be around and set the bomb off under the van. As Elias notices joggers, he wards them off but the bomb explodes knocking him unconscious. Anton comes rushing back to Denmark after learning Anton is unconscious and hospitalized. When Christian tries to visit Elias in the hospital, Elias’ mother tells him to leave and calls him a ‘brat’ and a ‘psychopathic killer.’ Christian runs off and goes to the top of the silo contemplating to jump, only to be stopped by Anton. He reconciles with his father and goes to visit Elias, relieved knowing that Elias is alive and recovering well. The movie ends as Anton returns back to Sudan and is greeted by the adoring children. There are a lot of subjects in this film. One of which is about communication barriers between people. There’s the main protagonist Anton struggling with communicating to his wife while they’re on the verge of splitting up. Anton again struggling to be there for Elias while he’s thousands of miles away in Sudan. Anton struggling to be an idealist to the boys and show how weak violence is when the boys expect Anton to be a hero. Christian struggles to relate with his father just after his mother’s death. He also struggles with the personal troubles of himself. There’s also the subject of making hard decisions. Anton has a duty of being a doctor to the refugees while Elias faces problems of his own. Anton is faced with a hard decision of being a doctor to the wounded landlord while the people insist that he doesn’t help him. Overall Anton is trying to be the man of reason and he has his share of successes and failures. Elias makes a tough decision whether to rejects Christian’s plan to blow up his father’s enemy’s van or not. All of which deliver in the results in the choices they make, or fail to make. This is another impressive script from Susanne Bier. Although I have not seen her past works, I know she has developed a reputation. She has produced many works in Sweden and Denmark and even has one American release: 2007’s Things We Lost in The Fire. This is her latest work. The script she co-wrote with Anders Thomas Jensen also touches base on another subject of the film. Before they wrote the script for the film, Bier and Jensen had a discussion about how Denmark is perceived as having a harmonious society. They then wanted to write a story where dramatic turns of events would disrupt the image of a place perceived as blissful. The film’s original title is Hævnen, which is Danish for ‘revenge’. This film is a stark reminder that it’s quite possible in countries like Denmark that appear to be harmonious and peaceful, violence can happen through the actions of a single instigator. The film does a good job of setting situations of violence, both in Denmark and Sudan, while capturing the perceived peacefulness of Denmark at the same time. The acting in the film was also excellent. The lead actor, Mikael Persbrandt, was excellent in portraying a man trying to maintain peace and show rational thought in hugely stressful situations both on the job and at home. Young actor William Johnk Neilsen was excellent as the troubled Christian. Also excellent were the performances of Trine Dyrholm and Markus Rygaard. The film did a good job of not overdramatizing events and maintaining its themes along with the storytelling. The cinematography added to the storytelling of how acts of violence can happen in such a peaceful place like Denmark. It’s hard to say if In A Better World deserved the Oscar for Best Foreign Language Film. I’d hate to compare it against its rivals. Nevertheless it was a very good film in its own right. It keeps one thinking as they leave the theatre.